When 10-year old Mason Taylor was diagnosed with leukemia about a year ago his world forever changed. He was in the hospital for a few weeks. His illness then prevented him from returning to school. So instead Mason was assigned a homebound teacher. 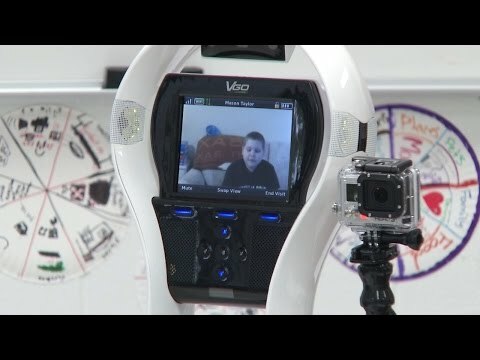 But now a VGo Robot, adopted by Northside ISD, is making it possible for him to attend Rawlinson Middle School without leaving home.